Many insurance adjusters are not knowledgeable about the value of quilts and will rely on an appraisal by a certified appraiser to substantiate the value of the piece. To determine the value of personal property for which tax deductions will be taken. Donations are always appraised at fair market value. Always consult a tax professional for tax advice. To determine value upon the death of the quilt owner. To determine value in a divorce settlement. To establish value for shipping and show insurance. Claiming insured value on a shipper’s form doesn’t guarantee reimbursement. Insurance adjusters usually want proof of value and will not accept self-appraisals. To determine Market Value based on sales of comparable items. Sometimes you may just want to know the quilt pattern, date and other information an appraiser can tell you about your quilt. NOTE: Appraisals cannot put a dollar amount on sentimental value. That value is PRICELESS! 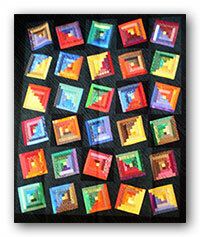 CONTACT YOUR NEAREST CERTIFIED QUILT APPRAISER TO APPRAISE YOUR QUILT AND ANSWER YOUR QUESTIONS. Is a written document prepared by a certified appraiser offering an unbiased opinion of value along with documentation to support the appraiser’s conclusion. Determines the Purpose of the appraisal such as insurance, donation, or sale. Utilizes the most appropriate valuation which is either cost to reproduce or comparable sales. Requires a physical inspection of the item being considered. PAAQT appraisers have a concentrated focus on quilted textiles. With their background, experience, education and membership in professional associations, they are qualified to make appraisals of quilts and quilted textiles. Many appraisers have additional training and appraise other textiles such as coverlets, shawls, and quilted clothing. Are defined as someone who holds a certified designation from a recognized appraisal society and regularly performs appraisals for which compensation is received and follows the Uniform Standards of Professional Appraisal Practices. The chosen individual should be independent. Are expected to perform ethically and competently in accordance with accepted appraisal standards of their professional organization and by the accepted standard of the appraisal industry as defined by federal guidelines of The Uniform Standards of Professional Appraisal Practice (USPAP). YOU CAN BE SURE THAT PAAQT APPRAISERS MEET THESE STANDARDS. 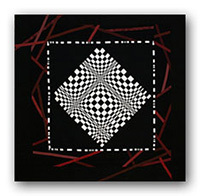 Condition – a major factor in determining a dollar value of a quilt. Fading, holes, stains and shredding of fabric will reduce the value. Quilts well cared for will retain their value. Construction techniques – well-sewn seams, smooth curves, and sharp points will give more value than poorly executed examples. Amount of quilting and distribution of quilting stitches – not only give pleasing appearances to the quilt but will add or detract from the total value. 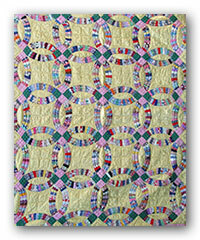 Hand or machine quilting – does not automatically give an increase or decrease in value. Each method is evaluated on its complexity, execution and amount. Artistic concepts – includes such factors as the subject matter of the design, the color choices (is it pleasing to the eye? ), and the balance of the design. Artist’s resume – a well recognized, prize winning artist will have more value to her/his works because of fame of maker and possibly record of sales. Provenance – the history of the quilt, its maker, place of origin, reason for making the quilt may all influence the determined value.